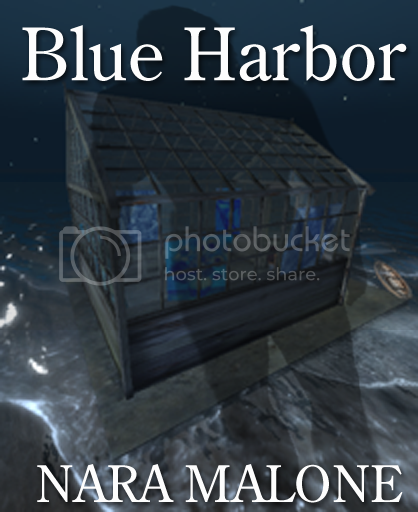 Blue Harbor is a journey into the shadows of the mind. It's the story of a young girl determined to keep secrets to protect men who didn't protect her. A virtual simulation of the old Athen's Asylum, created by Max Neely, has been a driving force in my telling this interactive story. When Dorthea Dix first fought the battle to get the mentally ill out of basements and chains and into medical facilities, asylums were believed to be an enlightened and innovative treatment for mental illness. This virtual hospital is a replica of the therapeutic architecture that was part of that grand design. The reality of institutional care did not live up to the dream. Mental illness, in the words of this girl, is still a puzzle we can't solve. This abandoned hospital is a monument to that. This story takes place across the hypergrid in Opensim. 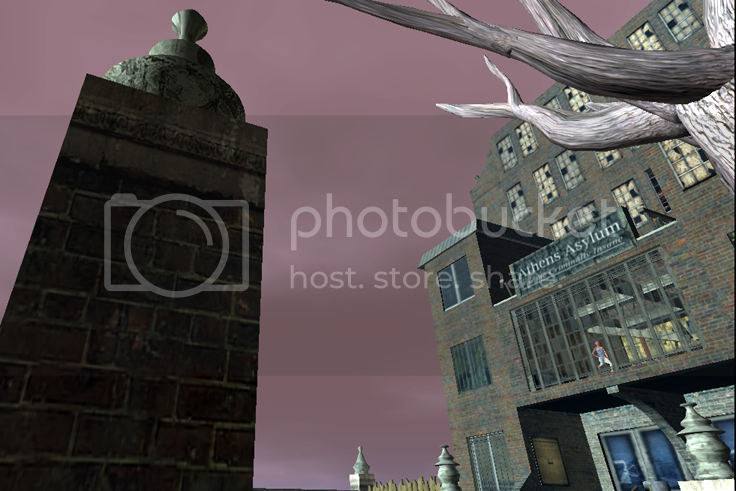 The asylum scene jumps from Opensim to Karpov region in Second Life. 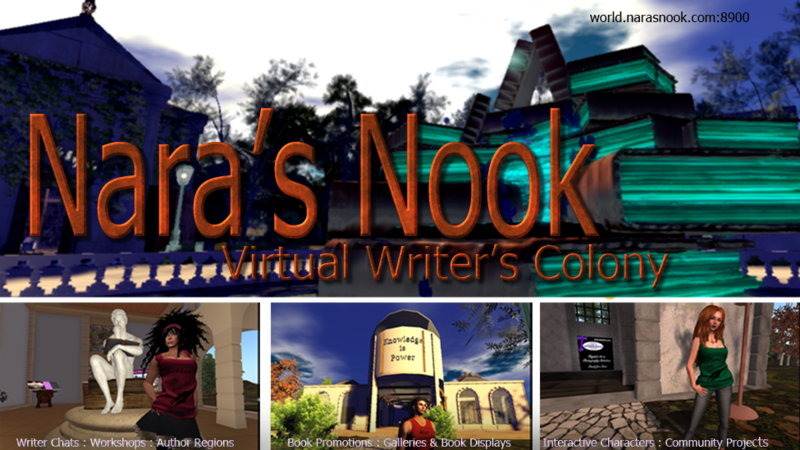 For those who can't go to Second Life there is an Opensim Alternative scene. I recommend the Second Life version. The stark surroundings lend emotion to the crisis that is hard to duplicate anywhere else. I had been going though the hospital removing the creepier things--pools of blood and skeletons. And the silly things--sheet ghosts. I thought the ruins of the hospital statement enough without the moaning zombies and the horror movie music. But during bug-testing I got to thinking that those Halloween creep-show elements served a purpose. The hospital with it's labyrinth of rooms and many levels serves as a symbol of the mind. The tentacled creature hiding under a trap door in the bathroom is just the kind of thing that leaps out at you from a dreamscape, a shadow element of the mind we don't want to look at, think about, or examine. It's rooted in the secrets we bury deep and accidentally get trapped in when emotional pressure pegs the stability meter in the wrong direction. I decided to leave the rest of the ghouls in the build, allow them to add their own level to this journey. There have been points in the making of this story where programming bugs and virtual world quirkiness conspired to make me question my own sanity. I had objects saying things I didn't script them to say. Sometimes they said things other objects were supposed to be saying. Other times all the objects decided to taunt me, saying the same thing no matter which I clicked, like children mimicking something I said. Objects disappeared, rearranged themselves, reappeared, stalked me. Don't believe the stalking? Check out the TV in scene two. If it follows you into the yard, please push it back inside before you leave. The main character in Blue Harbor calls herself and uncomfortable subject we want to put away. That puzzle we can't solve. She is making me live those words. Her story, these settings, make me uncomfortable. We start out by looking at ourselves in the mirror of her reality. Looking in that mirror presented plenty of puzzles. I thought I knew where the story would end but she had other ideas. I thought I knew which day we would launch but she had other ideas. So what do you do when paranormal activity takes over your tale? I'm going to pretend it's all buggy code. I'm going to tell myself I left the bugs there for their artistic value. I hope one or two of you will take the challenge this troubled girl is throwing down and join me in discovering what she has to teach us. Enter her mind at your own risk.